The Impact Hub Geneva officially opened its doors in June 2015. Co-founder Santu Boëthius, shares with us her experiences and what is coming in 2016. I spoke to my mother the other day and mentioned the human rights hackathon that we’re organizing in connection with the United Nations Human Rights Council in Geneva in February 2016. – ‘Human rights?’, I heard her say with a with a curious, slightly ironic voice, ‘Isn’t this something you used to work with at some point in your life?’. 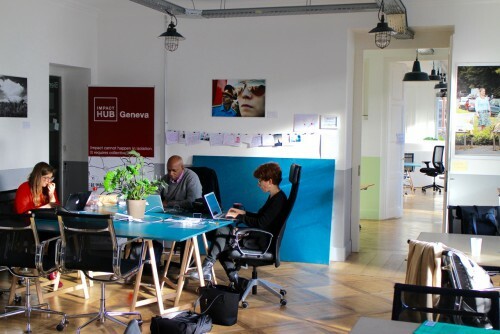 Indeed, my life before founding Impact Hub Geneva had been focussed on working with human rights, in particularly with the view of promoting opportunities, empowerment and inclusion of the most marginalized in society. My experience had brought me to understand the complexity of social change, and that significant change and sustainable solutions could only come from different actors and sectors aligning their resources and working together. It was the passion for what I believed in, and the potential that I knew existed in Geneva that brought me to join the Impact Hub Geneva founding team a couple of years back. Geneva embodies a unique and complete ecosystem for large-scale social change. With hundreds of international institutions based here, such as the UN agencies and ICRC, a hotbed of technology coming from EPFL and CERN, with top-schools such as IMD, HEID and UNIGE, a strong private and financial sector, a growing community of social entrepreneurs and a creative and resourceful local population – it seems that we’re only at the very beginning of triggering our region’s potential for social innovation. However, it’s easy to underestimate the time, energy, resources and challenges it takes to start up and begin to actually do the work we were set out to do. The past two years have been filled with long hours, sweat, tears, and laughter, the ups and downs of team work, and doing business strategy in-between updating the website and changing the toilet paper. 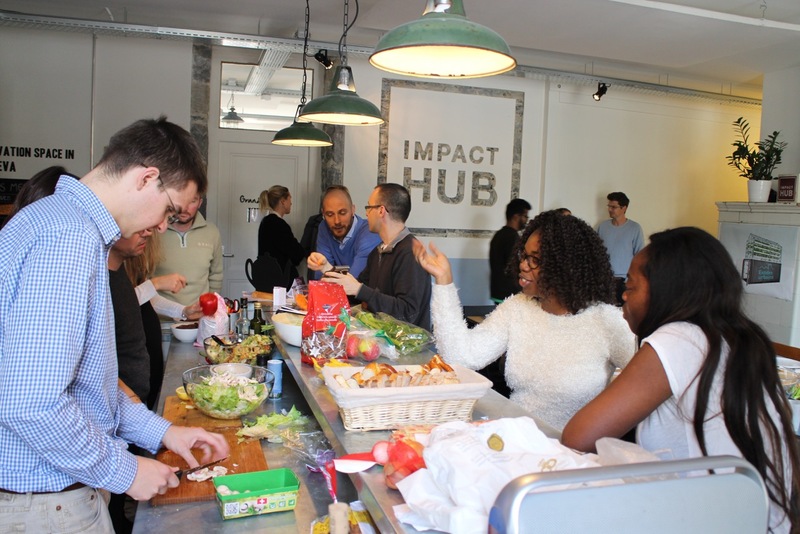 Getting an Impact Hub up-and-running can make you forget why you started it in the first place. Realizing a big vision requires taking many small steps, and at times also a few big ones. It requires collaboration, it requires trust, it requires courage, and, for us in Geneva, a global city, it requires working together with the Impact Hubs across the world. 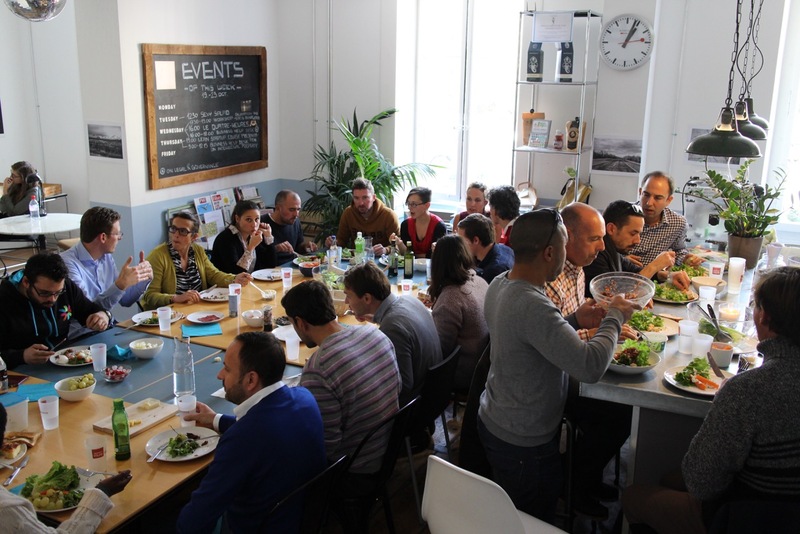 Six months after our official opening we now have a buzzing Impact Hub community from all across the Lake Geneva region, with amazing members, programs and partnerships that we can be very proud of. 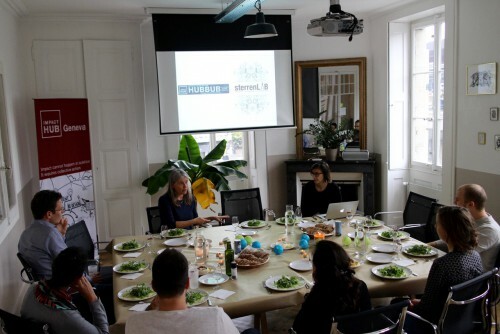 The DiploHack on human rights is but one of several initiatives where we connect unlikely allies across sectors for social innovation – entrepreneurs, UN officials, NGO workers, techies and students – to work together for a world that works for all. There are many more to come in 2016, and you are warmly invited to join us for the adventure! Have a great holidays season and new year! Looking forward to working with you in 2016!